Out of all the cities in the Southeast, Atlanta is increasingly becoming one of the biggest melting pots of cosmopolitan culture, commerce, and busy-bee urbanity. But, somewhat surprising to some, ATL is also home to an incredibly rich and ever-growing outdoor scene. On any given day, you can get in a morning trail run ten minutes from town, swing by a coffee shop for a single-origin pour-over, paddle double digit miles from rivers into lakes, and end the day with a local craft beer in a brewery’s tasting room. Plus, the mountains of North Georgia are not far away, where you can bag 4,000 foot peaks, swim in remote blue holes, and camp under the stars. Here are some of our favorite picks for enjoying a memorable weekend in Atlanta—full of fine hiking, climbing, and unwinding. Atlanta’s coffee culture is thriving, to say the least. Whether it’s a morning Chemex pour-over or a post-workday cold brew to get you over that 5:00pm hump, there are plenty of places to get a caffeine fix. In and around the city, there are three local roasting facilities worth mentioning: Batdorf and Bronson , THRIVE Farmers , and Cool Beans . Batdorf and Bronson Roasters (whose other roasting facility is in Olympia, Washington) has two shops in Georgia (Atlanta and Decatur) both named Dancing Goats. With a large number of unique coffee blends, from the signature 'Dancing Goats'—with its hints spice and chocolate—to the 'Organic Whirling Dervish'—with its rich sweetness of molasses and dark cherry—there's plenty to choose from. Not to mention, you’ll find creative coffee concoctions well beyond the latte, such as an espresso with ginger, honey, and orange zest. At Decatur’s location, tables and armchairs frequently fill up with college students. If the weather is mild, make a point to go to the Ponce City Market location closer to downtown Atlanta and sit on the screened-in patio, populated with Adirondacks, padded outdoor sofas, and swinging benches. 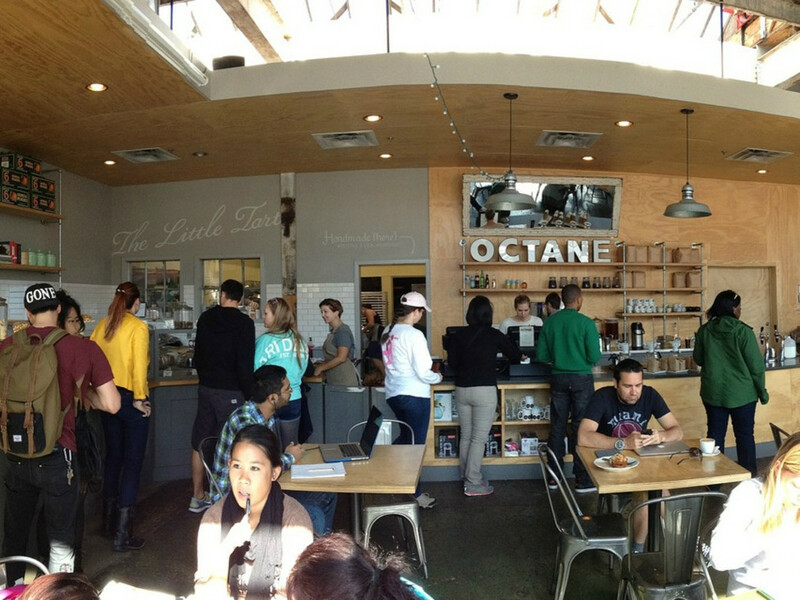 At Octane Coffee, you’ll find hipsters, college professors, freelancers, and everyone in between. With three locations in the city—Westside, Grant Park, and Buckhead—you've got plenty of options. And since all of these locations feature full bars, you can spice up your coffee with whiskey and Irish cream, or sip a glass of wine. When the weather warms up, opt for the “iced coffee” made with their straightforward “Super Regular” blend. The single origins rotate through a variety of coffee-producing countries, from Brazil, to El Salvador to Rwanda. The new “To Go” system allows you to place an order online, then just swing by and pick up, so you can be on your way to the trails in no time. In one of the largest cities in the South, you’ll find more than 50 miles of hiking and running trails within 20 minutes of the city center. Then, just a short drive north will take you into the sprawling Blue Ridge and Appalachian mountains, where you can log long distance hikes on one of the 9 state peaks that reach 4,000 feet, or along the 78.6 miles of Georgia’s portion of the Appalachian Trail. The closest trails are concentrated along the Chattahoochee River as part of the National Recreation Area. These hikes are great if you’re short on time or want to get in a weekday hike. 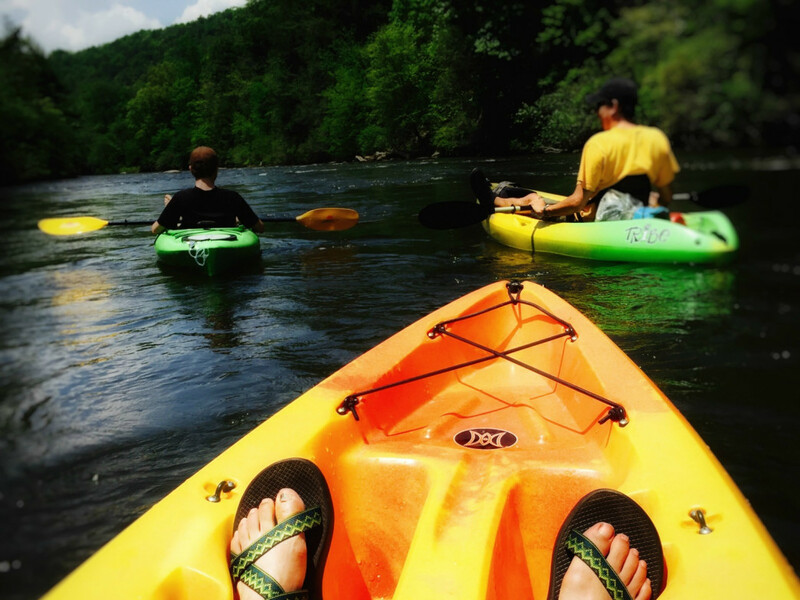 You’ll frequently hike along the banks of the Chattahoochee River and its tributaries. A favorite trail is East Palisades, where weaving trails are steep, but short. Be sure to make it to the rock overlook for beautiful views of the Chattahoochee River shoals—despite being so close to Atlanta’s urban scene, you’ll feel far removed from civilization. Just 80 miles north of Atlanta, you’ll be surrounded by North Georgia’s mountain ranges. 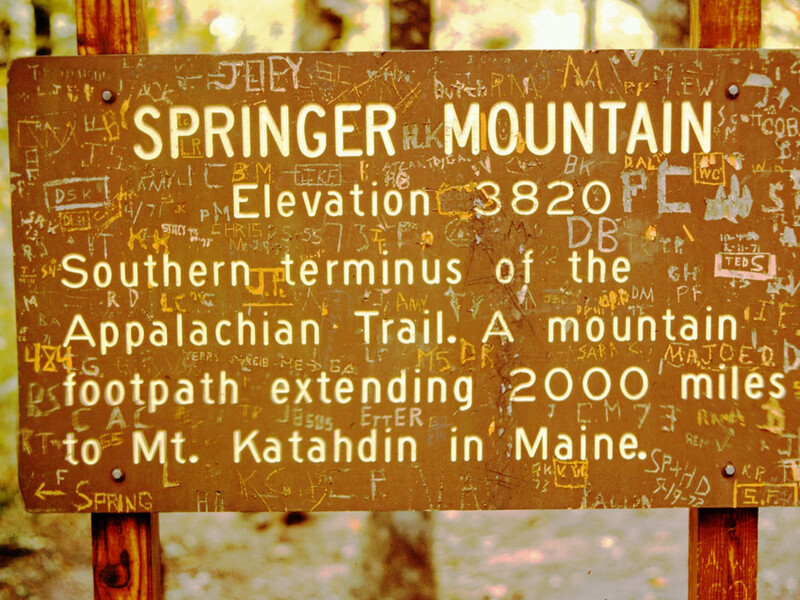 A rite of passage for Appalachian Trail hikers is their start from Springer Mountain. A few days later, they’ll come to one of the most difficult, yet beautiful sections in Georgia: Woody Gap to Blood Mountain. Steep climbs over lichen-covered rock take you to Blood Mountain’s peak, which affords views as far south as Atlanta on a clear day as well as the dimpled valleys below. Stone Summit has put Atlanta’s indoor climbing scene well and truly on the map—with both its locations recently featured as the top 10 largest gyms in the country. But it’s equally important for climbers to get their hands on real rock, and Atlanta is conveniently located near popular Southeastern bouldering spots in Tennessee and Alabama. Both of Stone Summit’s gyms—located in Atlanta and Kennesaw—have a combined total of 60,000 square feet of bouldering and climbing surfaces. Each is a different animal: in Atlanta, the pitched routes will challenge strength and power; in Kennesaw, the routes are reachy and built for endurance. You’ll find lead and top-rope climbing at both gyms, with a majority of routes rated from V8 to V11. The bouldering section is 5,000 square feet at both gyms. 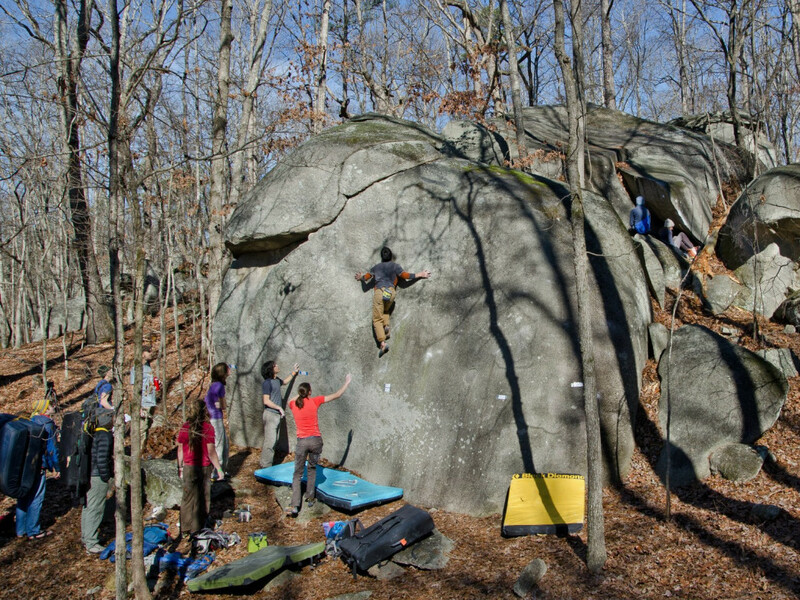 If there’s one outdoor spot that has shaped the climbing scene in Atlanta, it’s Boat Rock. The 7.8-acre boulder field was almost completely demolished before the Southeastern Climbing Coalition saved it. Bouldering at Boat Rock is different than other bouldering spots in the Southeast. The boulders are granite, rather than sandstone, and you’ll find an abundance of crack climbs. Routes of all levels are marked, and word is technical climbers tend to have the best luck here. Landlocked though Atlanta may be, locals flock to rivers and lakes for flat water paddling of all varieties. 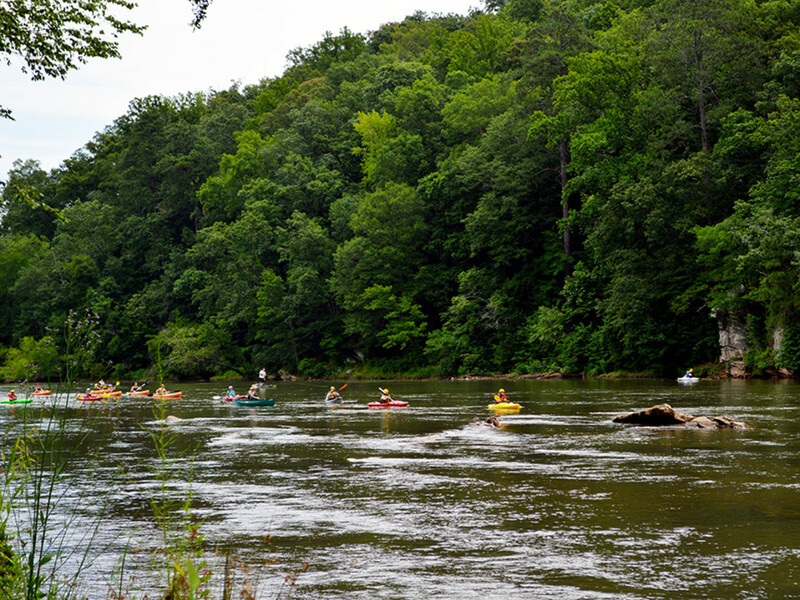 Many of Georgia’s rivers flow hundreds of miles across the state through serene, natural landscapes. (Among them, the most popular are the Chattahoochee River , Etowah River , and Savannah River .) And lakes dot the landscape, some so small that no motors are allowed, and others so large that they're frequently crowded with boat traffic—such as the 38,000 acre Lake Lanier or the 12,010 acre Lake Allatoona . Near and dear to Atlanta’s heart is the Chattahoochee River. 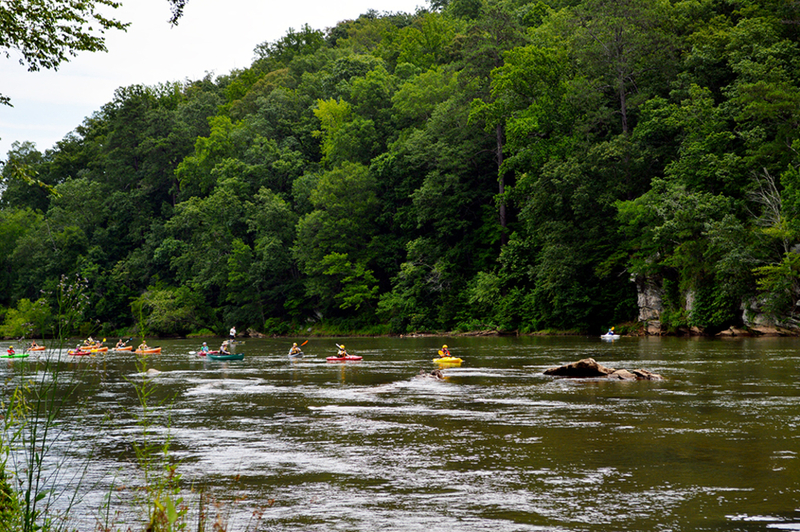 The Chattahoochee River National Recreation Area is the river’s main artery near Atlanta, a 48-mile section that flows from Buford to Sandy Springs. Along this stretch, multiple boat launches give opportunities to paddle through the mild Class I and II shoals. The 6.5-mile section from Johnson Ferry to Paces Mill leads you past craggy cliffs and manicured riverside landscapes, and even includes a Class III rapid. Lake Allatoona is less crowded with motorized boat traffic than Lake Lanier, and you’ll find plenty of put-ins and take-outs along the 270 miles of shoreline, as well as spots to pull off and picnic in lakeside parks. Eighteen miles of the Etowah River flows through Lake Allatoona, where you’ll use sheer muscle to power through the calm and current-less waters. The broad scope of Atlanta’s culinary scene spans from James Beard nominated fine-dining establishments to hole-in-the-wall dive-bar discoveries. The city’s many neighborhood pockets all offer something different: in Roswell you’ll find inventive and appealing cuisines; in Decatur a buzzing and hip scene; and in Dahlonega's square a solely local restaurant scene. Then there’s the craft beer scene, where more than 15 local breweries have popped up on the scene over the past few years. 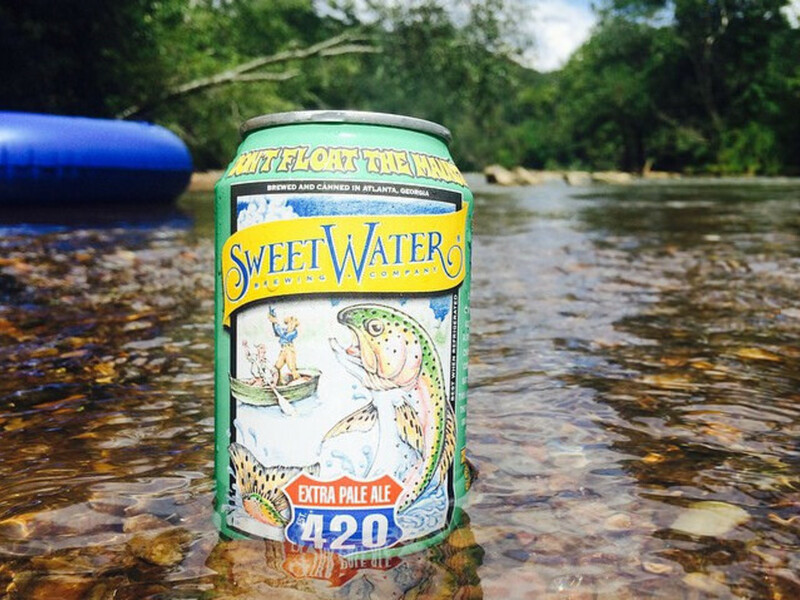 You can’t mention the craft beer scene without giving a nod to Sweetwater Brewery—named after nearby Sweetwater Creek State Park. Since 1997, the brewery has been at the forefront of Atlanta’s ‘microbrew-splosion.’ The most popular brew is the extra pale ale, Sweetwater 420. Another year-round brew that is especially sip-able in summer is the light-bodied ale,“Sweetwater Blue, which has a subtle hint of blueberries. The warehouse-style, two-story brewery offers indoor and outdoor space. Tours and tastings are offered Wednesday through Friday, 5:30 to 7:30 p.m. and Saturday and Sunday, 2:30 to 4:30 p.m.
A one-stop shop for many different food options, just off the Atlanta Beltline Eastside Trail is Krog Street Market. Whether Mediterranean, barbecue, Mex-Tex, or Japanese, this warehouse-style market holds many different food stalls and sit-in restaurants. The pitas at Yalla are bursting at the seams with toppings that you can select yourself, from roasted shawarma to eggplant to tahini sauce. A few stalls down, the sweet smelling barbecue from G.C. BBQ beckons you. Order a pile of beef brisket and a side of mac n’ cheese at the counter, then snag a seat in the hall to chow down. At the Mex-Tex (yes, Mex-Tex) sit-down restaurant Superica, tacos and enchiladas are piled high with ancho chile pork or spicy shrimp. In Atlanta, you’ll find all the usual suspects for hotel stays, from the high-end Intercontinental and W Hotels to affordable Marriotts and Hiltons. 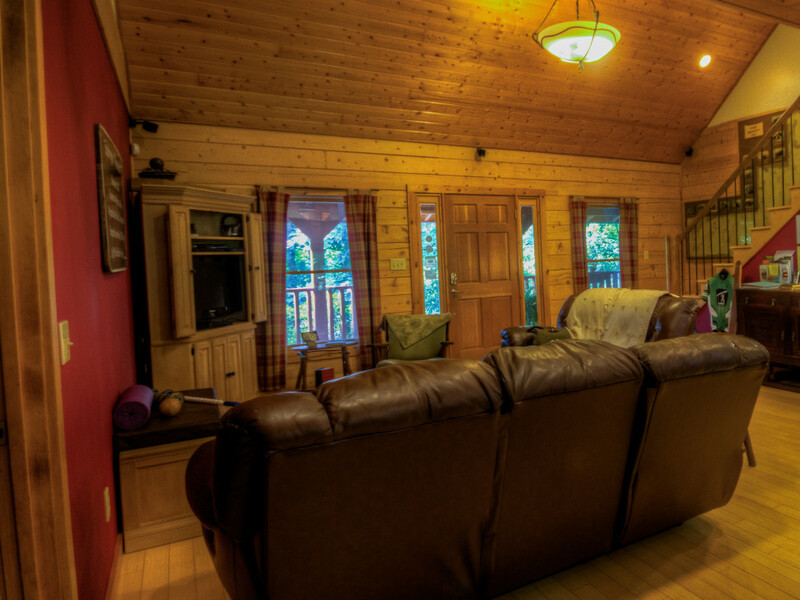 Stray beyond the city into North Georgia for your best outdoorsy cabins and campgrounds, nestled in the mountains and conveniently located near many of North Georgia’s mountain biking and hiking trails. The Hiker Hostel is a Godsend for those active adventurers who still want to sleep in the comfort of a bed. The no-frills hostel is modestly decorated, extremely clean, and very affordable. Your rate will get you a bunk or a private room, plus breakfast and a shuttle to the trailhead of your choice. Owners Josh and Leigh Saint are Appalachian Trail thru-hikers themselves, and have a wealth of knowledge on the local trail systems. Campgrounds are abundant in the Georgia State Parks where options are available for both primitive and car camping. At Amicalola Falls State Park, you’ll find 25 campsites. Hidden beyond the official park campsites are a few primitive spots in the Chattahoochee National Forest. Just follow the dirt road beyond the park’s cabins, and it’s as if you’ve trekked deep into the wilderness. Camp alongside bubbling creeks, or string your hammock between mountain laurels. You can't beat it.